First pregnancy with girl/boy twins. Accidental (but happy :-D) pregnancy so you can imagine the shock when we found out it was twins! 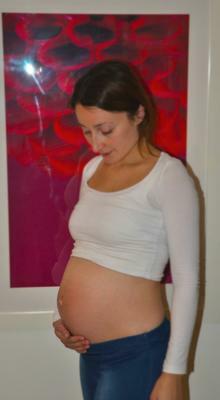 I was measuring pretty small up until about 18 weeks... there's been a big growth spurt!